It has been a few months since I did a character study. So I am happy to return with one of my favorite characters of all time. Nope, I am not talking about Captain Harlock (but yes, I am a fan). I am talking about…Papa Gu!!!!!! Sorry, I just fainted from the excitement. Back now. With my serious cap on I have to say- this is one interesting character. 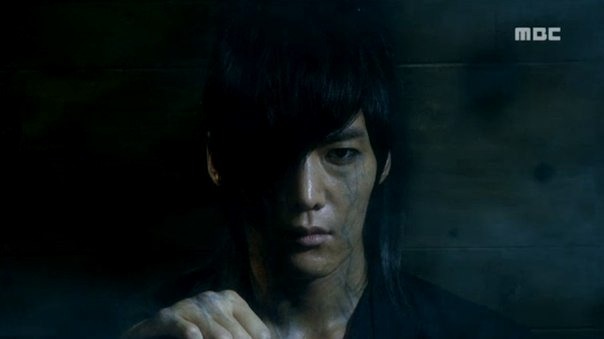 Seemingly innocent and unaware, but full of power that could smite humanity, Wol Ryung is a scary creature in premise. Completely apart from human society, his interest in the foreign land of man builds up the foundation of this story and gives it an enemy (well, one enemy. This show never could make up its mind). However for all of his evil earth destroyer and humankind meddling potential, he turns out to just be a guy that loved a girl. And that is kind of refreshing given the what-could-have-been. Wol Ryung’s romance with Seo Hwa resulted in the birth of this show’s hero Kang Chi. In my opinion this origin story was much more heart wrenching and watchable than the main story of Kang Chi, which is unfortunate for the drama. But still fortunate for the viewers- hey a good story is a good story even if it only occurs in the first fifteen percent of the drama. Wol Ryung is, simply described, a gumiho that has spent centuries protecting a mountain. His only friend (human friend anyway) is a monk. One day he spots a human woman in trouble, Seo Hwa, and it is love at first sight. He does his best to protect her, blindly, but honestly (with a huge dose of the don’t-let-her-know-I-am-a-monster thrown in). Which I think is a huge testament to his seemingly archaic yet continuously modern thoughts- make Seo Hwa stay happy at all costs. Which of course, backfires. Once Seo Hwa knows the truth of her brother and maids death and Wol Ryung’s true form, she loses faith in Wol Ryung. Yet Wol Ryung, who chose to lie to keep his love emotionally upbeat, seems not to understand how someone he loves so purely could betray him. And so tragedy happens, and continues to happen, in the story of Wol Ryung. He is cursed to become a thousand year demon- bringing evil to the place he once so lovingly protected. His evil incarnation only awakens as his son and Seo Hwa return decades after the betrayel, spurring his soul to rise (with amnesia..hey, this is a kdrama after all). Not remembering his love for Seo Hwa, or his earlier life of righteous deeds, Wol Ryung transforms into the scary monster in the forest. He is burdened with an instinct to find the person named Seo Hwa and destroy them. 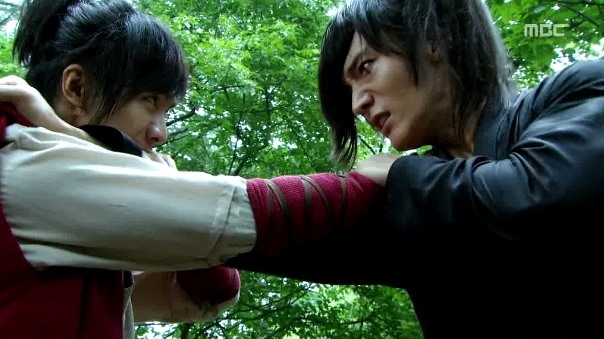 After countless mysterious murders in the forest, Kang Chi comes face to face with his father. 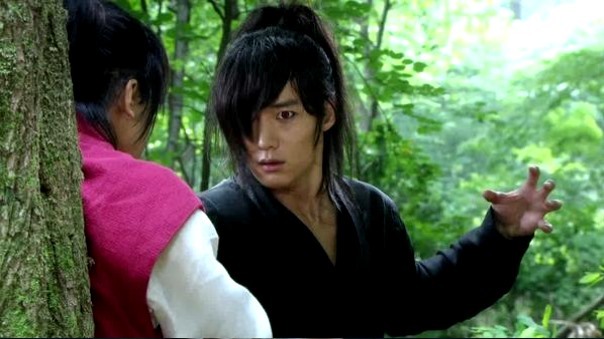 This meeting spurs Wol Ryung to begin his path towards remembering how he became a dark being. Demon Wol Ryung is played/hunted by humans of both sides of the Gu Family Book turtle-ship argument. While being used as a pawn in a life and death game of humans, he continues to be driven darkly towards Seo Hwa. Though he feels only hatred and knows not why he must destroy this person. Which is extremely interesting to watch. While Wol Ryung is not the most in depth character I have ever witnessed in drama land, nor the most prominent, he is still a character that I commend for his simple love for a woman…who kind of screwed him over. Okay, completely screwed him over. Yet, in the end, his pure motivations and feelings were able to save him from the dark side. Your move Darth Vader. So right! 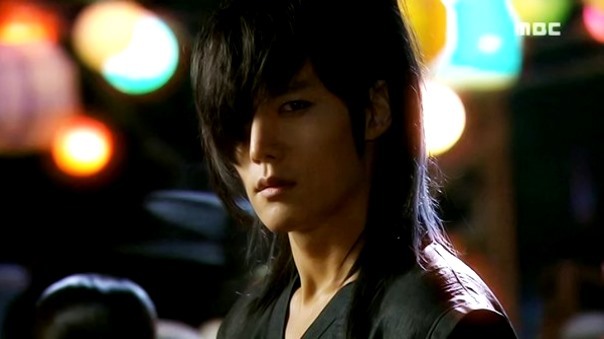 Wol Ryung the innocent “monster”. Watched only because of him…it was like…every ep just waiting, when to see him again. Truly was way more interested in his story. yes,i agree i love the first part of the story most because of wol ryung,and cried a lot when i thought he’s dead,but he came back and it excites me eventhough he’s back as a demon…until now Gu Family Book is the best historical/fantasy drama for me,and Gu Wol Ryung is one of my favorite character ever!!! It was so interesting.i need episode 10-15.i love wol ryung &kang chi &seo hwa.they are a good actor &actress.